Nationally, each year an estimated 25,000 youth emancipate or “age out” of the foster care system, over 1,000 in Illinois alone. A significant amount of youth in the child welfare system will never be placed in a permanent home and will age out of foster care with few supports or opportunities. Without the skills needed to navigate adulthood, these are the young people most at risk for human trafficking, gangs, homelessness, credit fraud, substance abuse, and unplanned pregnancy. Safe Families PLUS (Providing Lasting Unconditional Support) Mentors are key partners in helping older youth successfully transition to adulthood. Mentors are paired with a youth or young adult between the ages of 14 to 21, and are expected to commit to at least a year of meeting on a consistent basis. Mentors can serve as “anchor families” to youth, providing a safety net to fall back on after leaving the child welfare system. 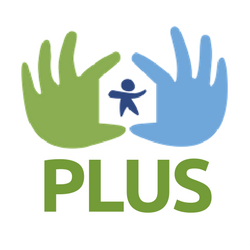 For more information, contact safefamiliesPLUS@safefamilies.net or call 773-653-2252. Find out about our organization's history, mission and the team on the ground. Ready to take the next step? You can make a difference in a child's life.